"Logic will take you from A to B. Imagination will take you everywhere." Museum London is proud to launch its Centre at the Forks Campaign. Placed at the heart of the city – the Centre will transform the Museum and London’s waterfront, connecting the beauty of the river with innovative and inspiring architecture. An expansive, panoramic two-story window and an outdoor terrace will overlook the river, providing a rich, multi-dimensional experience for visitors. 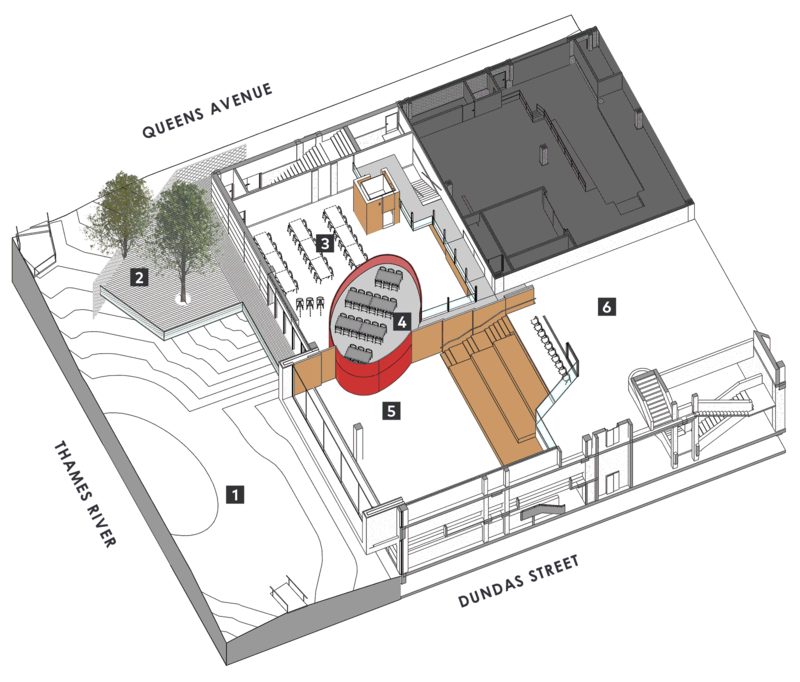 The Centre will become a place for the community to gather, inspire and create. With its classes, performances, digital imaging lab and artist residency program, the Centre will be an incubator for artistic innovation, and a place where youth, families and seniors can enjoy interactive presentations and activities. Art and culture will become a collaborative and unforgettable experience for all visitors. The Centre reimagines the future of community and engagement, providing a gathering space to connect Londoners and visitors to the Museum’s design and programming – an integral part of revitalizing the Forks of the Thames. Double the amount of program space to 4,400 square feet. Create a flexible space, accommodating a wide array of community programming. Our existing programming will continue and expand to include concerts and theatre productions. Offer visitors new media experiences to increase understanding and connection with our visual landscape. Connect the Museum to the river with a glass wall providing a vista of the Forks of the Thames. Construct an outdoor terrace for events on the river side of the Museum. Deliver greater access to our material culture collections and see our popular Visible Storage Gallery, featuring prominent London artists such as Jack Chambers, Greg Curnoe and Paul Peel, as well as the Group of Seven, double in size and move to the second floor. Become accessible for all by installing a passenger elevator and embracing Accessibility Standards for the Design of Public Spaces. Museum London will become an open museum, connecting all Londoners with our past and our future. 1. Wolf Sculpture Garden Home to Ron Benner’s As The Crow Flies garden installation. 2. Museum Terrace An outdoor extension of the public program and events space overlooking the Forks. 3. Creative Workshop An expanded classroom space with updated tools and services to support a broad range of creative activities. 4. The Pod Support services are housed in the lower level while the upper level, with its movable panels, offers an intimate meeting space or casual gathering spot. 5. Activity Space A multi-purpose area with built-in spectator seating for a wide range of community activities. 6. The Centre Gallery The Museum’s entrance space which includes the Muse shop, the River Room restaurant and the Rhino Lounge café. New media and technology as tools to expand visual literacy. Partnerships in arts education. The relationship between wellness and art is well-known and we will partner with the health community in a variety of creative ways. Artist-in-residence programs to foster interaction between artists and visitors. Remote, online access to the Centre’s programming for those who cannot physically come to the Museum. Art and technology will be immersive and tactile experiences. Children, youth, families and seniors need a stimulating place to connect and interact with others. 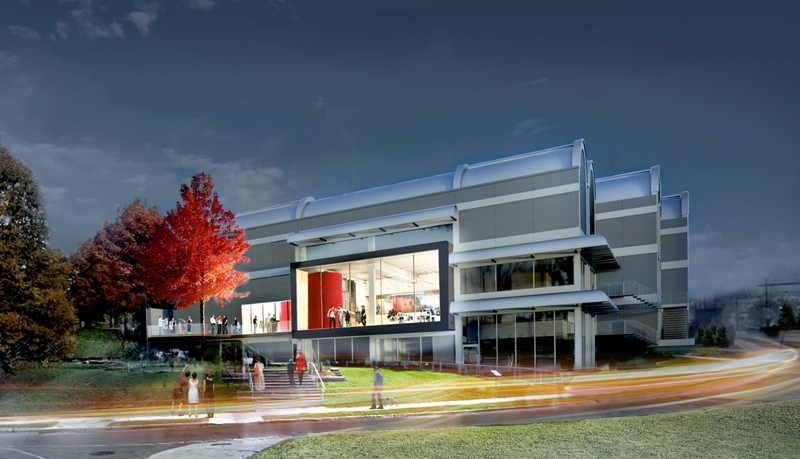 The Centre will be a dynamic cultural focal point for lifelong learning for people of all ages. For Children and Youth The Centre will attract and inspire children and youth from junior kindergarten to high school. 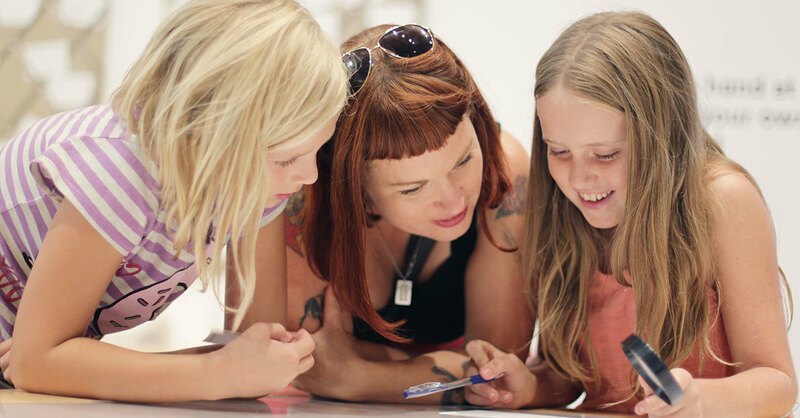 Research consistently shows the benefits of cultural activity and museum visits for young people, providing memorable, immersive learning experiences, and stimulating imaginations by introducing unknown worlds and ideas. For Families At the Centre, families – grandparents, parents, and children – will spend time together, sharing conversations about favourite objects, family stories and historic events. Lifelong learning begins at a young age, and museums spark interest in history and art. 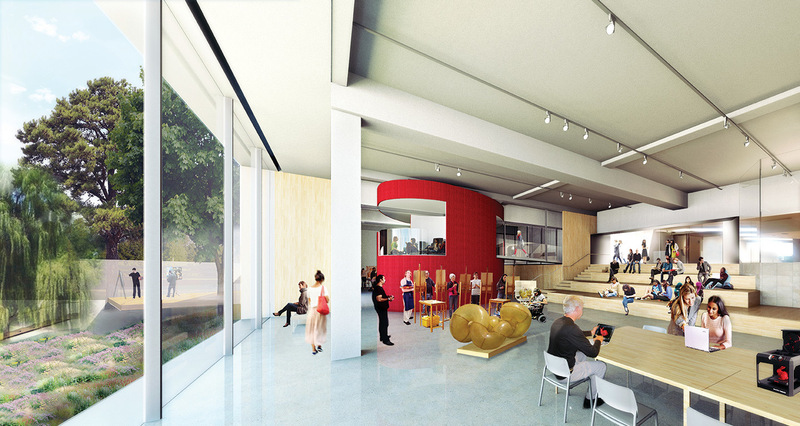 For Seniors The Centre at the Forks will provide our growing senior population with not only an art and history experience, but just as importantly, will offer a meaningful social experience. This community hub will provide seniors with activities in a safe, inviting and communal setting. For Newcomers London is a welcoming community for new families and newcomers of all backgrounds and interests. 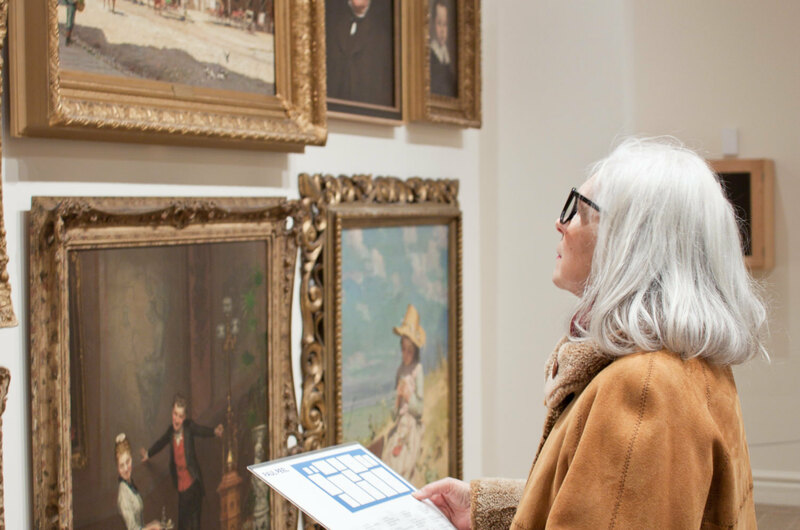 Museum London is an important place for them to learn about and become involved in their new home, connecting them with the history of the city and creating a foundation for their future. This $1 million endowment fund will provide a reliable and continuing source of income to support annual operations of the Centre at the Forks through a yearly payout of investment income from the endowment’s assets. We are tremendously excited by the possibilities that the Centre at the Forks presents as a dynamic and engaging space that will link with other planned high-profile civic projects in the historic heart of London. The Forks have been the focus of our community starting with our First Nations people, through John Graves Simcoe’s arrival and up to the present day. Museum London’s Centre at the Forks will be a cultural and recreational destination of choice, and will contribute to the ongoing revitalization of our downtown. With the establishment of the Centre at the Forks, Museum London will engage the broader community in the kinds of learning, innovation and excitement that art, visual and material culture offer. The Centre will create new opportunities for visitors to connect with programs, exhibitions and collections in creative and participatory ways – deepening the visitor experience and resulting in the Museum enhancing and extending its impact within the London community and beyond.